All of our costumes are made with premium fabric and are fully Machine Washable! 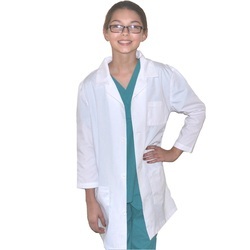 Kids Doctor Costumes.com is proud to only sell Real Authentic Kids Doctor Costumes. Unlike our competitors, our Costumes are made with real Lab Coats and Scrub Sets just like the one your Doctor or Nurse wears. Made from top quality fabric and premium stitching your little Doctor will look impressive at school, in the Hospital or Doctors office for "bring your child to work day", or while Trick or Treating on Halloween night. Be sure to check out our Toy Category to see the many accessories that can be added to your Doctor Costume.